James Ligeralde. 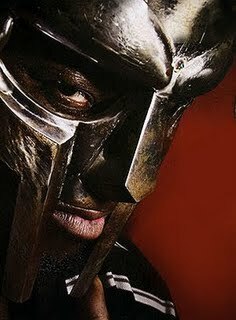 MF Doom, 2007. Relief print. This is Metal Face Doom, aka Daniel Dumile. He has been recording quality hip-hop records since the early nineties when he was Zev Love X, a member of KMD. 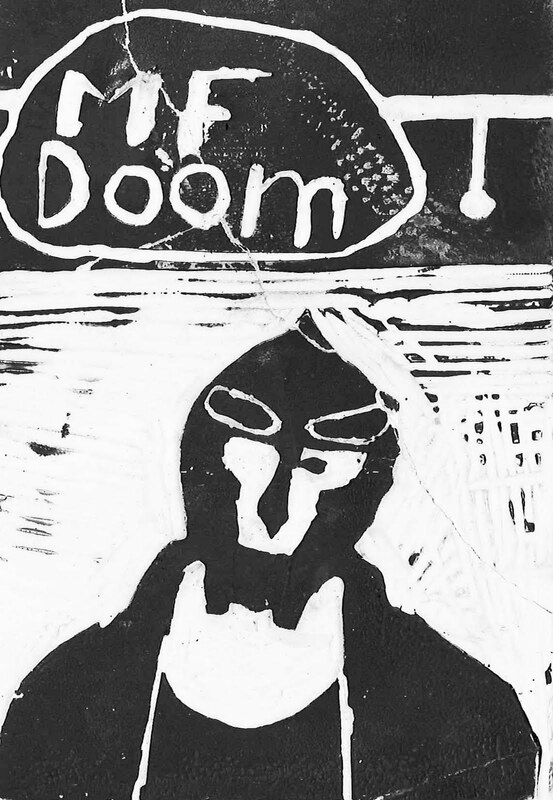 Since the invention of Doom in 1999, Dumile's intelligent, creative hip-hop has appeared on independent labels. The New Yorker is one source for more information. You can peruse the abstract of this article (full text for subscribers) or you can read the entirety of this 2004 glowing review.